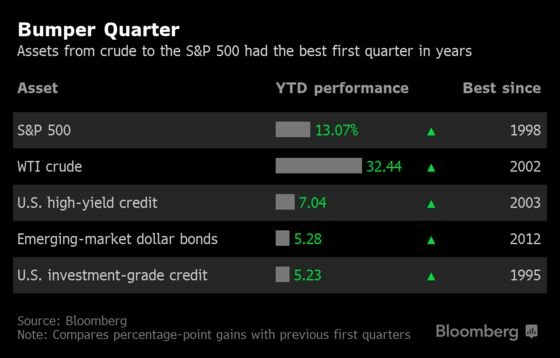 (Bloomberg) -- After riding the best first quarter in at least a decade across assets including stocks, credit and crude, a growing chorus of investors has a new mantra: Don’t look down. It’s in bunds that are bought at any price -- even when you lose money by holding them. 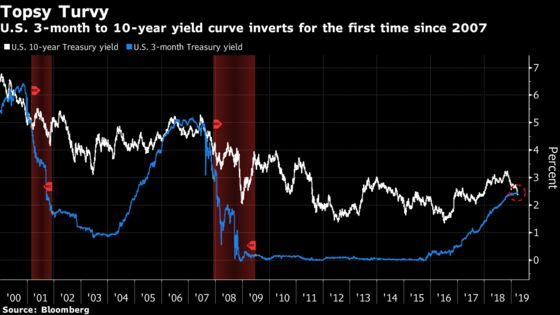 It was in the inverted U.S. yield curve and subsequent blast of market volatility, and the deluge of hand-wringing that followed. The flight from exchange-traded stocks sensitive to cyclical downturns. The under-positioning across major assets -- including among the year’s biggest winners. Add up all the green and the nervousness makes sense: A rebound of 13 percent in the S&P 500 Index, a jump of 7 percent in U.S junk bonds and an eye-watering 32 percent surge for oil are among the stand-out statistics. Federal Reserve officials slashed their projected interest-rate increases this year to zero from two, while the European Central Bank extended its pledge on record-low rates. Policy makers in China are doling out fiscal and monetary stimulus to revive growth laid low by trade tensions with the U.S.
That cash hasn’t done an awful lot in 2019, with U.S. three-month T-bills returning just 0.6 percent. And there are signs it may come back into play. The latest global fund manager survey from Bank of America showed cash levels fell to 4.6 percent from 4.8 percent a month earlier. It’s muting enthusiasm for equities. Even as a gauge of global stocks posted the best quarter in seven years, investors pulled $79 billion from equity funds, according to Bank of America. 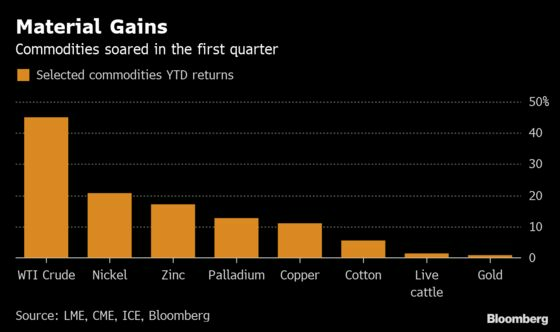 An MSCI index of so-called quality companies -- those with strong balance sheets -- has gained more than 14 percent this year, versus about 9 percent for those with a weaker financial profile. 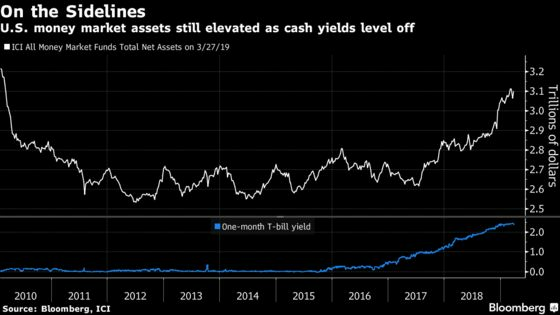 That kind of investor caution stands out in particular, because the moves across credit markets this quarter have looked pretty favorable for any companies carrying debt. Borrowing costs seem to be falling across the board, even for junk-rated issuers. 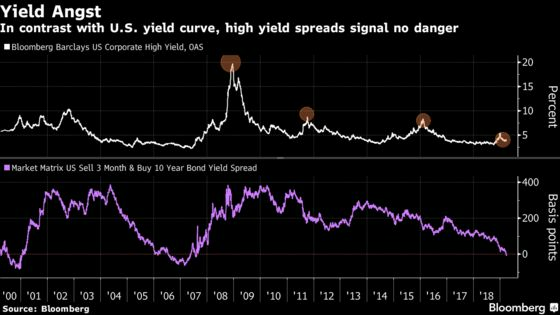 U.S. high-yield corporate bonds have enjoyed one of their best first-quarters in at least two decades.